This is the final year of the Heisei Era, which started in 1989 and will end when Emperor Akihito abdicates on April 30. Japan will have a new name for the era that begins with the enthronement of his son, Crown Prince Naruhito, the following day. Along with the Western calender, Japan has used a calendar corresponding to the reign of each emperor since the Meiji Era began in 1868. The Heisei Era, which spanned roughly 30 years, occupies a major part of my 45-year life. It means so much, especially for middle-aged Japanese and younger generations, including myself. If I look back on this era and sum it up in one phrase, I could call it “the lost three decades.” In other words, Heisei was the time when Japan drastically lost its prominence in the world. When the Heisei Era began in 1989, 32 out of the 50 top global companies in terms of aggregate market value were Japanese (far outnumbering the 15 in the United States and the three in the United Kingdom). Last year, Toyota Motor Corp. was the only Japanese company in the top 50 list (ranking 35th). Japan’s per capita GDP was the world’s third-largest in 1989; last year, the nation was ranked 30th, according to the International Monetary Fund. In the early part of the 1990s, Japan’s GDP accounted for roughly 18 percent of the global total, but it is down to 5 to 6 percent today. Heisei has indeed been a lost period for Japan’s economy and its society. Japan was regarded as a miracle — at least I was taught so — mainly because it had achieved two incredible phases of development through drastic reforms implemented by great leaders: the Meiji Restoration and the post-World War II period of rapid growth. 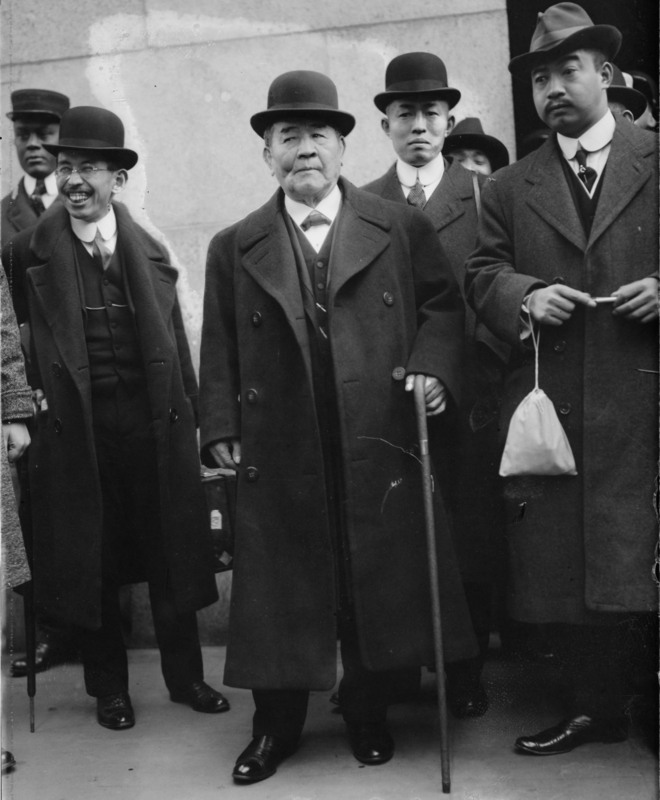 Both times Japan’s success stories influenced many people around the world, especially in Asia, and attempts were made to follow the Japanese model. Even in the United States, Harvard University professor Ezra Vogel penned a provocative book, “Japan as Number One: Lessons for America,” in the late 1970s. Why, then, has Japan lost its international prestige and is now deemed to be an old country whose best years are past? The reason is quite simple — the deterioration of education by the local community and family. Wealthy countries and families are considered to be rich because they have either huge assets or earning capacity. Although Japan was famous for its minerals such as gold and silver before the 18th century (which were the nation’s chief exports), it never relied on exporting natural resources in its modern history. The main factor behind modern Japan’s incredible growth was its excellent human resources — its leaders and diligent workers. These leaders and workers were the product of the education conducted in their local communities and families. The great leaders were mainly raised in their respective local communities and families learning from great figures. 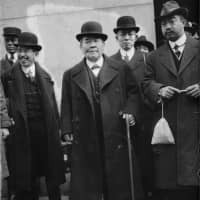 For example, Eiichi Shibusawa, who was involved in establishing more than 500 companies in his lifetime and is called “the father of Japanese capitalism,” was said to have been strongly influenced by his family as well as by members of his local community in northern Saitama Prefecture. Akio Morita, one of the two key founders of Sony Corp., was supposed to take over the family’s well-known sake brewery in Aichi Prefecture and as such was taught leadership and management skills by his family. Such education stimulated the curiosity of young potential leaders and cultivated their spirit of adventure. Many of the nation’s diligent workers were also brought up in local communities and families that admired hard work and seriousness. After World War II, however, these features of Japan’s traditional education system were almost completely swept away by a new system that avoided teaching about local or family heroes who had cooperated, for example, with the military regime during the war. In the postwar era, the nation has concentrated too much on politically neutral school education that simply teaches students basic knowledge of science, technology, language and so on. Potentially excellent children are prodded to study hard so they can enter prestigious high schools and universities in order to land jobs in famous companies. A leader should be a person who can take the initiative to create a better society, rather than merely seeking to secure a prestigious position for himself in an organization. It seems that true leaders are not produced any more in Japan due to the loss of education by families and local communities. The postwar education system has continued to produce diligent workers, but the nation needs more true leaders. As the Heisei Era draws to a close, Japanese businesses have lost much of their presence and position in the world, as the list of top global companies show. Although Japan has had 26 Nobel Prize laureates, only five of the winning scientists were born after World War II. Clearly, we are losing or have already lost the true leaders who possess in abundance the spirit of adventure. What should we do to cope with this situation? Rebuilding the local and family education that Japan had in the past appears to be practically impossible. Therefore, I believe the most important thing, in terms of education policy, is to ease restrictions on schools. Establishing a new school entitled to receive tax benefits is very hard. To become a licensed, legally incorporated educational institution, for example, requires the submission of myriad documents and an inspection by the Education, Culture, Sports, Science and Technology Ministry. Loosening the ministry’s control and abolishing some regulations is the best way to reproduce true leaders as it will become easier to open schools with new curriculums. According to a five-nation survey conducted by the software maker Adobe Systems Inc., Japan is deemed the most creative country in comparison with the United Kingdom, France, Germany and the United States. Japanese creativity, I think, is highly evaluated mostly because of its food, animation, architecture, modern art, cosmetic techniques (nail art, beauty salons, etc.) and local crafts — not because of its big manufacturers that once dominated the world. By weakening the education ministry’s control over schools and liberalizing the education market, potential leaders could enter new schools and be attracted to new fields rather than just seeking to attend famous schools. In terms of industrial policy, focusing on areas that can earn foreign currency and maintain domestic employment will also be quite important for Japan’s future. Ichiro Asahina is CEO of the Tokyo-based think tank Aoyama Shachu Corp.